To commemorates 40 years since the final run of the class 52 locomotive on British Rail. The Severn Valley Railway will be holding a Western Weekend On August Bank Holiday, 27th, 28th and 29th August 2016 In conjunction with Western Locomotive Association and Diesel Traction Group. The event will feature the Class 52 Western Class diesel-hydraulic locomotives D1062 ‘Western Courier’ and D1015 ‘Western Champion’, alongside a number of additional shuttle services. There will also Three Western Region steam locomotives and an Evening ‘Western Wanderer’ train hauled by No. D1015, departing from Kidderminster. Donna Jean Thatcher was born in Florence, Alabama. Prior to 1970, she had worked as a session singer in Muscle Shoals, Alabama, eventually singing with a group called Southern Comfort and appearing as a backup singer on at least two #1 hit songs: “When a Man Loves a Woman” by Percy Sledge in 1966 and “Suspicious Minds” by Elvis Presley in 1969. Her vocals were featured on other classic recordings by Boz Scaggs and Duane Allman, Cher, Joe Tex, Neil Diamond and many others. 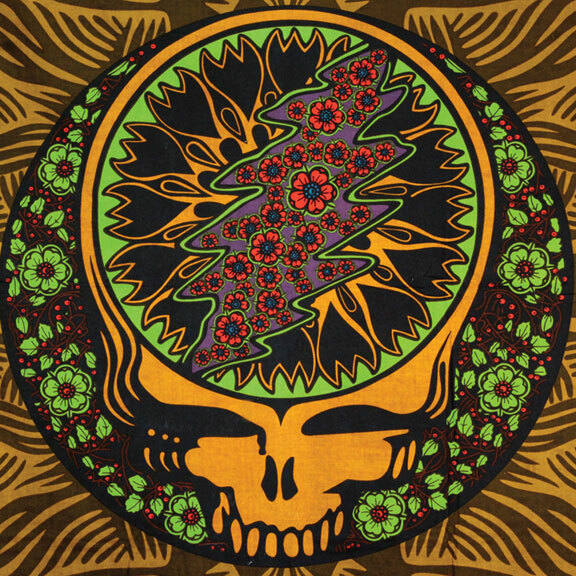 She then moved to California and met future fellow Grateful Dead member Keith Godchaux, whom she married in 1970. The American fantasy, science fiction, horror and mystery fiction writer Ray Bradbury was born August 22, 1920. 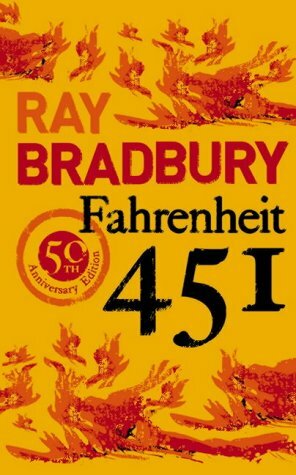 Best known for his dystopian novel Fahrenheit 451 and for the science fiction and horror stories gathered together as The Martian Chronicles and The Illustrated Man , Bradbury was one of the most celebrated 20th-century American writers. Many of Bradbury’s works have been adapted into television shows or films, he is credited with writing 27 novels and over 600 short stories, and More than eight million copies of his works, published in over 36 languages, have been sold around the worldThroughout his youth Bradbury was an avid reader and writer. He knew as a young boy that he was “going into one of the arts.” Bradbury was drawing, acting and writing. In 1932, one of Bradbury’s earliest influences was Edgar Allan Poe. At age twelve, Bradbury began writing traditional horror stories and said he tried to imitate Poe until he was about eighteen. At the time, his favorites were also Edgar Rice Burroughs and John Carter as well as comic books. He listened to the radio show Chandu the Magician, and when the show went off the air every night he would sit and write the entire script from memory. In his youth, he spent much time reading such authors as H.G. Wells, Jules Verne, and Edgar Rice Burroughs, He loved Burroughs’ The Warlord of Mars so much that at the age of 12 he wrote his own sequel. The young Bradbury also was a cartoonist and loved to illustrate. He wrote about Tarzan and drew his own Sunday panels. During World War Two Ray Bradbury started a career in writing after, he was rejected by the military during World War II. Having been inspired by science fiction heroes like Flash Gordon and Buck Rogers, Bradbury began to publish science fiction stories in fanzines, he was also invited to attend meetings of the Los Angeles Science Fiction Society, which met in downtown Los Angeles. His first published story was “Hollerbochen’s Dilemma”, which appeared in the fanzine Imagination! in January, 1938. Bradbury’s first paid piece, “Pendulum,” written with Henry Hasse, was published in the pulp magazine Super Science Stories in November 1941,and he also published “The Lake”, and became a full-time writer by the end of 1942. His first collection of short stories, Dark Carnival, was published in 1947, Bradbury’s short stories, “Homecoming’” was also spotted and subsequently published in Madamoiselle magazine where it won a place in The O. Henry Prize Stories of 1947. August 22 2016 marks the anniverary of The Battle of Bosworth Field (or Battle of Bosworth). It was the last significant battle of the Wars of the Roses, the civil war between the Houses of Lancaster and York that raged across England in the latter half of the 15th century. Fought on 22 August 1485, the battle was won by the Lancastrians. Their leader Henry Tudor, Earl of Richmond, by his victory became the first English monarch of the Tudor dynasty. His opponent, Richard III, the last king of the House of York, was killed in the battle. Historians consider Bosworth Field to mark the end of the Plantagenet dynasty, making it a defining moment of English and Welsh history.Richard’s reign began in 1483 when he was handed the throne after his twelve-year-old nephew Edward V, for whom he was acting as Lord Protector, was declared illegitimate and ineligible for the throne. The boy and his younger brother disappeared in mysterious circumstances, and Richard’s support was eroded by rumours of his involvement in the death of his wife. Across theEnglish Channel in Brittany, Henry Tudor, a descendant of the greatly diminished House of Lancaster, seized on Richard’s difficulties to challenge for and claim to the throne. Vernon Reid, American guitarist and songwriter with Living Colour was born 22 August 1958. Living Colour is an American rock band from New York City, formed in 1984. Stylistically, the band’s music is a creative fusion influenced by free jazz, funk, hip hop,hard rock, and heavy metal. Their lyrics range from the personal to the political, in some of the latter cases attacking Eurocentrism and racism in America.Living Colour rose to fame with their debut album Vivid in 1988. Although the band scored a number of hits, they are best remembered for their signature song “Cult of Personality”, which won a Grammy Award for Best Hard Rock Performance in 1990. They were also named Best New Artist at the 1989 MTV Video Music Awards. After disbanding in 1995,Living Colour reunited in late 2000. Living Colour were formed in New York in 1984 by English-born guitarist Vernon Reid. They grew out of the Black Rock Coalition, a non-profit organization founded by (among others) Reid for black musicians interested in playing rock music. Reid was well known on the downtown New York jazz scenes because of his tenure in Ronald Shannon Jackson’s Decoding Society. Reid assembled a number of bands under the name Living Colour from 1984 to 1986.Early band members included bassists Alex Mosely, Jerome Harris and Carl James, drummers Greg Carter, Pheeroan Aklaff and J.T. Lewis, keyboardist Geri Allen, and vocalists D.K. Dyson and Mark Ledford, with Reid occasionally singing lead vocals himself. The band’s sound was vastly different from the songs that showed up later on their major label recordings. Material from this period included instrumental jazz/funk workouts, politically pointed punk rock burners, experimental excursions via Reid’s guitar synth, and an early version of the song “Funny Vibe”, which was reworked for their debut album Vivid.In 1992, Skillings left the band due to creative differences and was replaced by Doug Wimbish. This new line up released their third full-length album, Stain, in February 1993. The album reached No. 26 in the U.S., a further drop since their debut.Despite retaining their strong fan base, Living Colour disbanded in January 1995, after failing to settle on a common musical goal during sessions for their fourth studio album. Four of these tracks were included on the compilation Pride.Following the breakup, individual band members released a variety of solo efforts. Living Colour reformed on December 21, 2000, at CBGB as a gig billed “Head>>Fake w/ special guests”. Head>>Fake was the currentdrum and bass project headed by Calhoun and Wimbish. Glover was on the bill to sing a few songs and Reid came on after three songs. The reunion was followed by the release of the band’s fourth studio album, Collideøscope, in 2003, their first album not to chart in the United States, although it was critically praised. 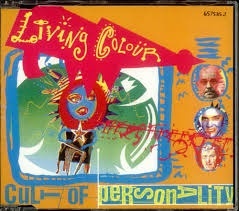 In 2005, Sony Records released Live From CBGB, a live album recorded on December 19, 1989, as well as another best of compilation, Everything Is Possible: The Very Best of Living Colour, with songs fromVivid to Collideøscope.In August 2006, Glover took on the role of Judas Iscariot in a national tour of Jesus Christ Superstar, touring with JCS veteran Ted Neeley. Doug Pinnick, vocalist and bassist of King’s X, filled in for Glover on lead vocals.Glover’s tour of the musical ran through June 2008, and he then rejoined the band. On September 22, 2006, Skillings joined the band for the first time in fourteen years when they played at a private party which drummer Jack DeJohnette threw for his wife Lydia. Wimbish was unable to come back from his base in London to play for the event, so Skillings agreed to take over for the special private event. British musician Joe Strummer a.k.a John Graham Mellor was born 21 August 1952 – he is best remembered as the co-founder, lyricist, rhythm guitarist and lead vocalist of the British punk rock band The Clash, from London, a band that formed in 1976 as part of the original wave of British punk. Along with punk, their music incorporated elements of reggae, ska, dub, funk, rap, and rockabilly. The Clash were one of the most prominent of the emerging bands in the UK punk rock scene, their second album, Give ‘Em Enough Rope (1978) reaching number 2 on the UK charts. 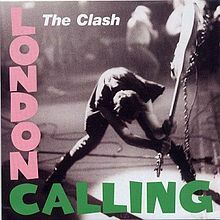 Soon after, they began achieving success in the US, starting with London Calling (1979), and peaking with 1982’s Combat Rock, reaching number 7 on the US charts and being certified 2x platinum there. The Clash’s politicised lyrics, musical experimentation, and rebellious attitude had a far-reaching influence on rock, alternative rock in particular. His musical experience included his membership of The 101ers, Latino Rockabilly War, The Mescaleros and The Pogues, in addition to his own solo music career. Strummer’s work as a musician allowed him to explore other interests, which included acting, creating film scores for television and movies, songwriting, radio broadcasting, and a position as a radio host. Strummer is one of the iconic figures of the British punk movement.Strummer and The Clash were inducted into the Rock and Roll Hall of Fame in January 2003. Strummer sadly passed away 22 December 2002 however ,in his remembrance, Strummer’s friends and family have established theStrummerville Foundation for the promotion of new music, and each year there are many festivals and both organised and spontaneous ceremonies worldwide to celebrate his memory.